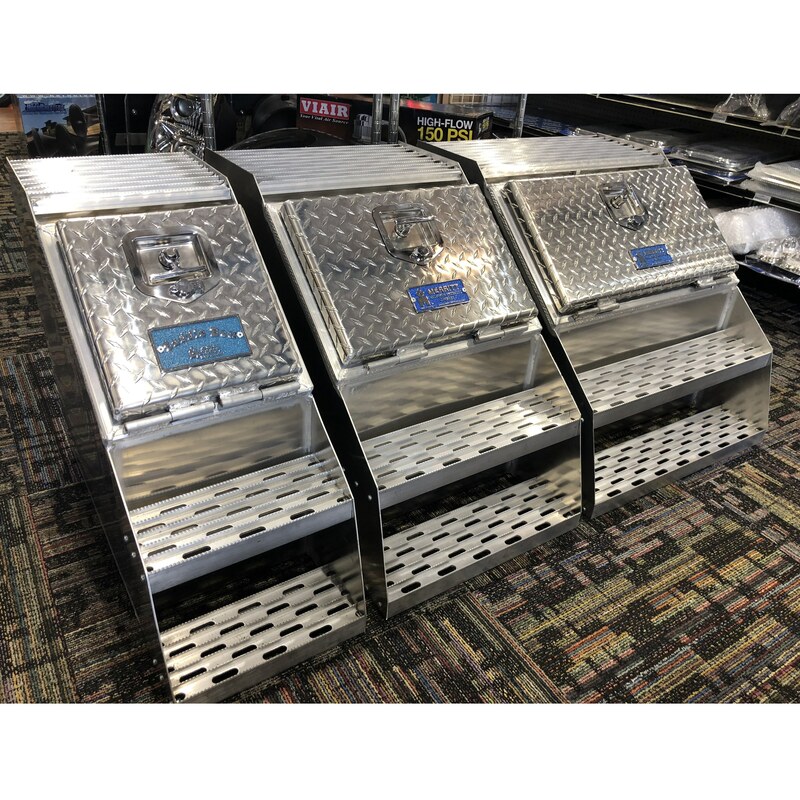 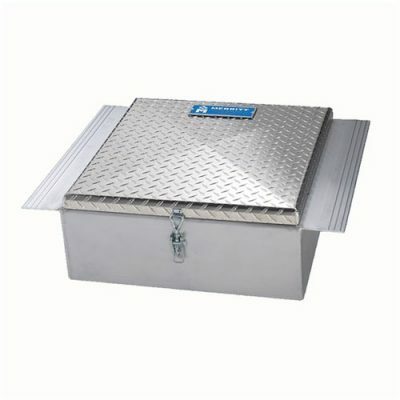 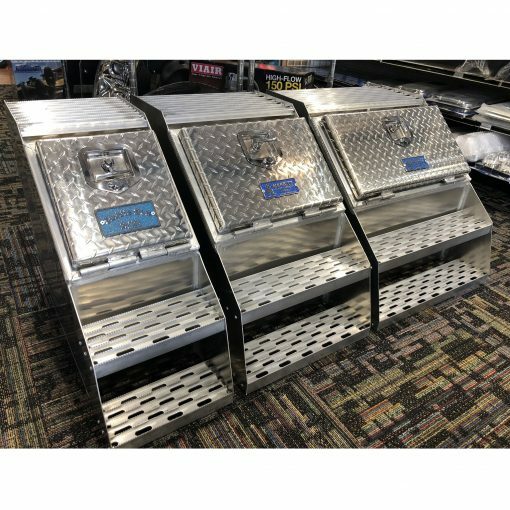 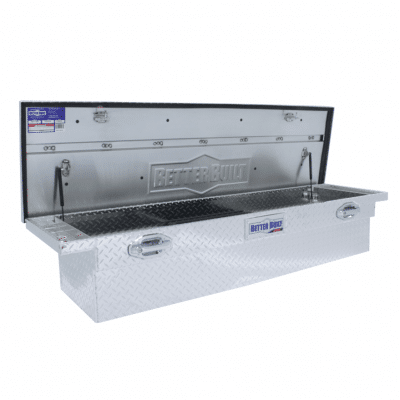 18″Aluminum tool box with diamond plate door. 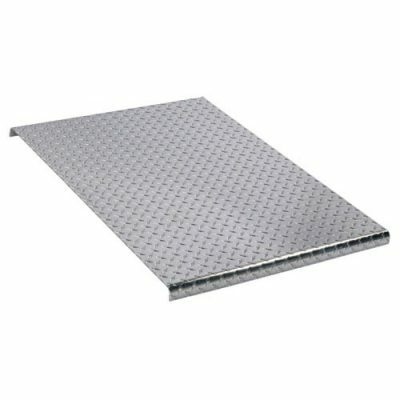 Comes with T-handle thatåÊlocks, and aluminum step. 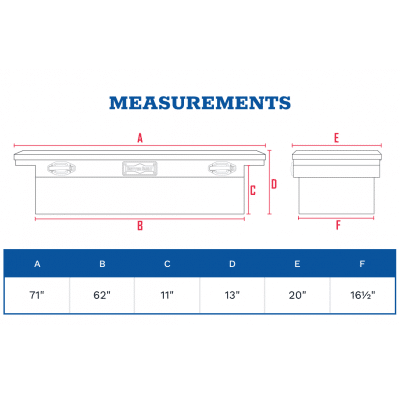 Mounting brackets sold separately.